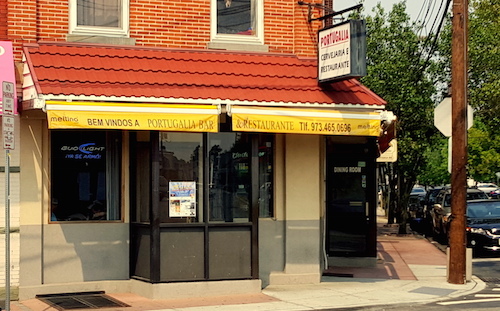 Like many Portuguese bar/restaurants in Newark's Ironbound neighborhood, Portugalia seems to serve as somewhat of a community center, where all the locals come for lunch on weekdays, and bring their families for dinner at other times. The old men working the place were probably born in the back room. English is definitely not the language of choice, and the TVs are turned to other stations just to back that up. On this day, "O Preço Certo" was playing, the Portuguese version of the The Price is Right, with a MUCH larger man than Drew Carey if you can imagine. 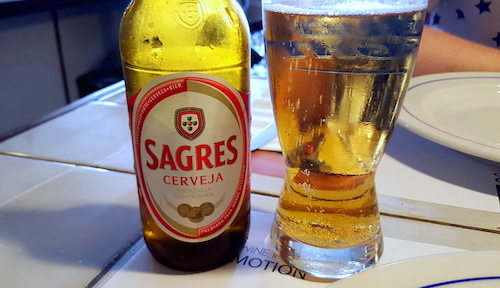 As we ordered a couple Sagres (above), the only conversation I could follow was some clown at the bar who insisted to use an f-bomb in every sentence. This bar area is very casual and serves massive (albeit meant for one person) portions, while the other room is a more formal family-style affair. 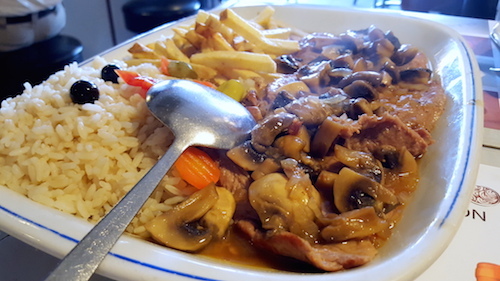 Most meat orders come with a side of rice and fries, including our veal marsala ($18, below), the Iberian peninsula's rendition of the Italian dish. The sauce is plenty, and so are the mushrooms, but we tasted very little of the wine it gets its name from. For the price, this is good veal. Preparing for a big day of eating, we split the dish right down the middle, but both ended up fairly stuffed anyways. 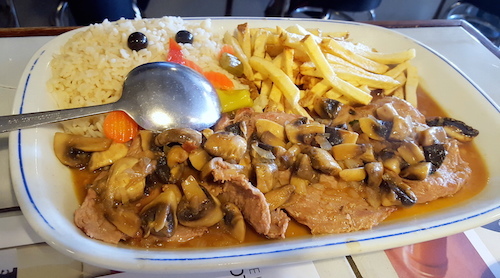 The portions here, and at most Portuguese restaurants are simply not fair. If nothing else, I would just like to try more since it is all very good. 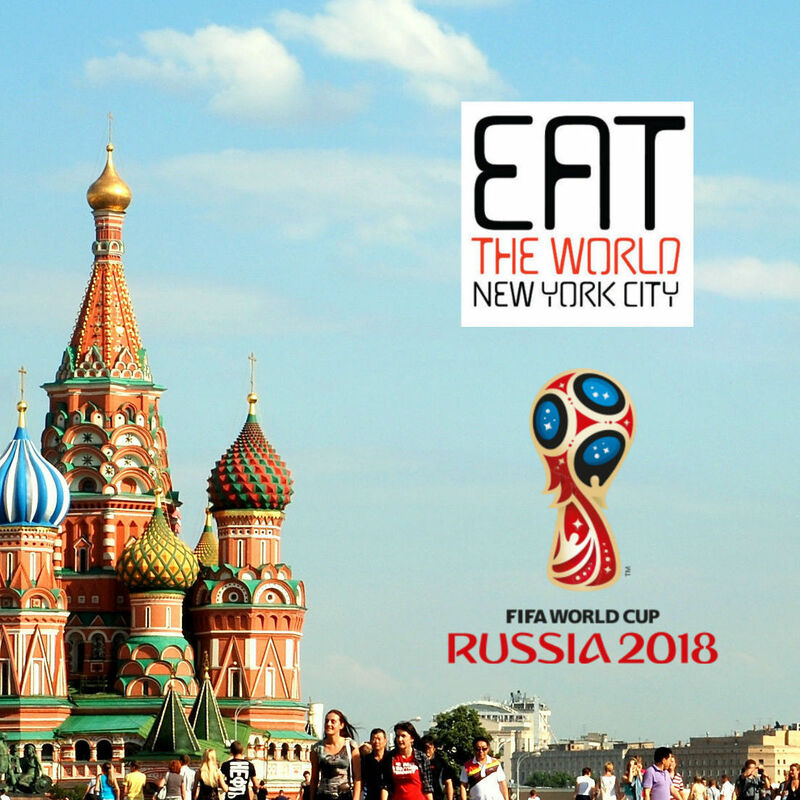 Make sure you and your friends bring a big appetite. But hang around a while and enjoy the spectacle of it all as well.